Publisher is exactly "E.C. Kropp Co. Milwaukee"
W.P. 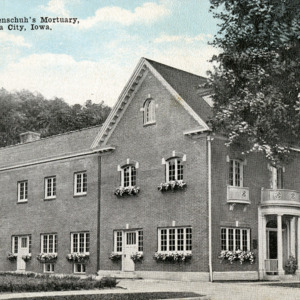 Hohenschuh's Mortuary was located at 13 South Linn Street, currently occupied by the Iowa City Yacht Club. Details on the building are on the back of postcard.